If your return contains errors, the IRS will need to further review your return. 1. Does My Tax Return Need to Be Accepted by the IRS Before I File a FAFSA? 2. Are Worksheets Required to Be Turned in With a Tax Return? When you file your income tax return electronically, a computerized system reviews your return, and if the return is error-free, the Internal Revenue Service will accept it. If your return does contain errors or includes credits or deductions that are out of the norm, a representative must review your return by hand. There are many reasons that the IRS might review your return. Whenever your tax return contains mathematical errors, the IRS is responsible for straightening out the information, which causes additional review times. For example, if you transpose two numbers, the IRS will correct the mathematical error, but the correction will delay processing and -- if you're due a refund -- this will delay your refund, too. When you prepare your own return, you're responsible for calculating your credits and deductions. If you're unfamiliar with the process, knowing whether you should use your gross income or adjusted gross income to calculate a credit can be confusing. If you made a mistake calculating a credit or deduction, the IRS will "red flag" your return for further processing. At this point, a representative will go over your return and recalculate your credits and deductions to make sure your return is accurate. A "red flag" will spark a review and delay processing of your return. If you forget to include a form with your income tax return, the IRS has to prepare one for you. When you claim certain credits and deductions, you usually have to prepare certain forms. Not submitting your entire return can cause delays and extend the review time of your return. Processing times for a mailed return take much longer than electronically filed returns. When you mail a paper return, you must consider delivery time. 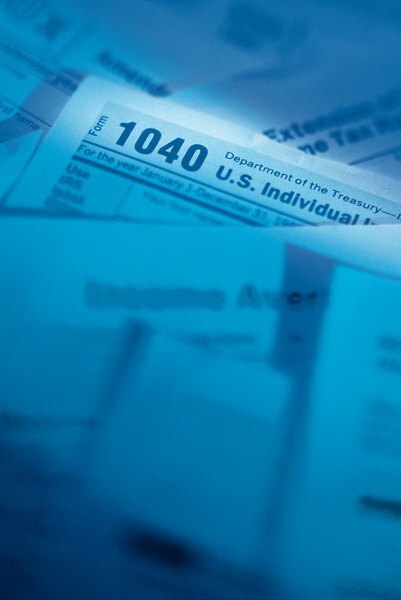 It can take up to six weeks for the IRS to receive and begin processing your return. In addition, a representative at the IRS must go through a paper return by hand, which extends the processing time from approximately 21 days to about eight weeks. If there's a problem with your return, one that the IRS can't fix, you'll receive a letter in the mail. The letter should include a contact number, the reason for the review and additional information needed to finish processing. The faster you respond to the letter, the faster the IRS will process your return.